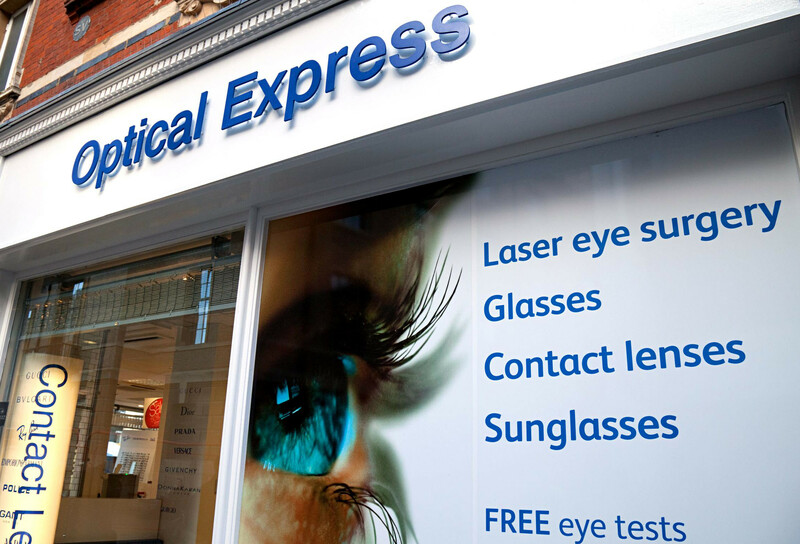 Optical Express are leading providers of eye care in the UK. Originally founded in 1991, it is now a global leader of selected healthcare services. Worldwide, Optical Express surgeons have together performed over 1 million refractive surgery procedures and have a combined surgical experience of over 1,000 years. Every year in the UK, more than double the number of patients trust Optical Express to perform their laser eye surgery than any other provider. The team at 10 Yetis Digital were honoured in April 2015 when approached by the team at Optical Express in order to help them with a blogger and vlogger influence and outreach campaign aimed at increasing brand engagement, as well as with more traditional consumer outreach through communication with national news outlets and national publications and websites. The partnership was intended to dovetail with and support the existing SEO and marketing campaignsput in place for Optical Express. How we are getting them in the news? In order to generate as much coverage as possible for Optical Express, the team at 10 Yetis devised a cross-platform campaign aimed at reaching as wide an array as audiences as possible. As well as creating and selling-in a number of traditional news storiesand a feature of the process of laser eye surgery in both The Daily Star newspaper and website, 10 Yetis have dedicated a large proportion of time to blogger outreach and securing reviews on popular British lifestyle blogs. By securing reviews and posts on such influential blogs as TheStyleRawr.com, Vipxpo.co.uk, TheHiFashionSite.com, My Fashion Life and Love of Cloth, 10 Yetis were able to secure blog coverage and social media mentions for Optical Express and their range of Ray-Ban sunglasses to millions of subscribers. After seeing the impressive impact of the blogger outreach Optical Express asked 10 Yetis to expand their efforts in order to secure a range of partnered posts with a number of influential YouTube vloggers. At present, 10 Yetis are focusing their efforts on vloggers specialising in beauty in order to create content aimed at make-up tips for those who wear glasses or contact lenses, as well as those who have vision issues and may want to undergo laser eye surgery themselves. As well as their outreach efforts, 10 Yetis were also able to successfully organise a live streaming session of a laser eye surgery procedure taking place in real time on Yahoo.com for Optical Express. The five minute stream featured narration by Dr Steve Schallhorn, Chairman of the Optical Express International Medical Advisory Board and a consultant to NASA, NATO and the FBI, who is widely regarded as one of the most respected refractive surgeons in the world. Steve’s expert commentary throughout the procedure allowed viewers watching the footage to understand exactly was happening every step of the way and give them an idea of what to expect should they one day undergo the surgery themselves. After the successful surgery, Dr Schallhorn took over the Yahoo Lifestyle Twitter page in order to take part in a live Q&A session, where members of the public were able to ask him any questions that the live stream hadn’t answered directly. In order to help Optical Express warn its customers, as well as the general public of the worrying dangers associated with wearing cheap, novelty contact lenses as a Halloween accessory; 10 Yetis sourced a case study in order to highlight the reality of the products, including such symptoms as corneal ulcers, corneal abrasion, vision impairment and even blindness. Jess Wilby, a 23 year old copywriter from Manchester, wore a pair of the emerald green lenses on a night out with her friends to celebrate both Halloween and her birthday last year, but was horrified when her eyes became swollen, sore and began to ooze pus. Not only was her night out ruined, but she also had to take time off work and feared that her eyesight may be permanently damaged. Through building up a relationship with Jess, 10 Yetis were able to write up her story, and add in a scientific warning on behalf to Dr Steve Schallhorn, the Chief Medical Director of Optical Express, that would appeal to national press. After an extensive sell-in, the story generated coverage on the likes of ITV News, The Mirror, Huffington Post, The Express, The Sun and The Manchester Evening News. The work 10 Yetis are carrying out on behalf of Optical Express is an ongoing retained campaign, but highlights so far have included the live streaming procedure on Yahoo.com; the video of which also generated coverage and follow links on the likes of Metro.co.uk, The Mirror Online, OptometryToday and Optician Magazine, as well as the results outlined above achieved for the Halloween contact lens case study. Features secured with other valuable follow links back to the Optical Express website include a review of junior Ray-Ban sunglasses in The Independent, an upcoming video diary piece following a national journalist undergoing laser eye surgery for a piece featured both online and in print, and a selection of make-up tips for girls who wear glasses that featured on MSN Lifestyle, TV3.ie and Yahoo Singapore.